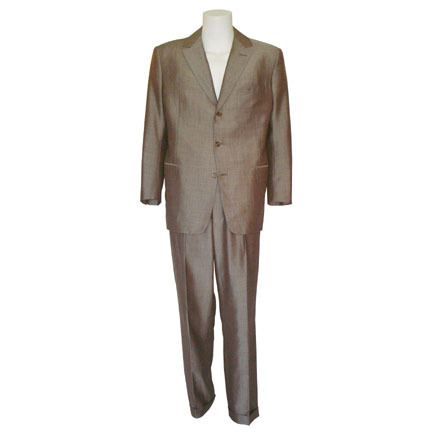 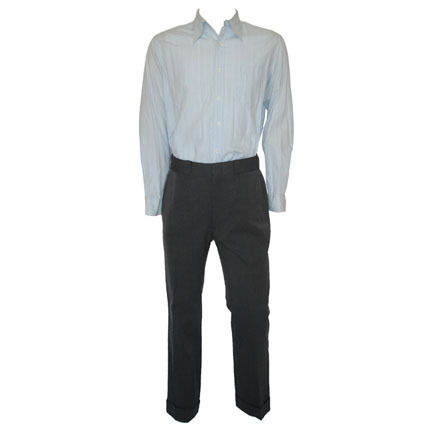 This costume change was worn by the character "John Grady Cole" portrayed by actor Matt Damon in the 2000 motion picture "All The Pretty Horses" starring Penelope Cruz. 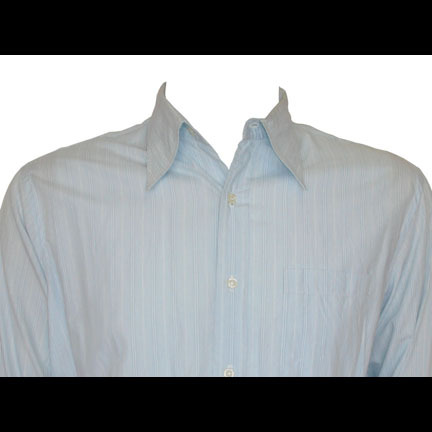 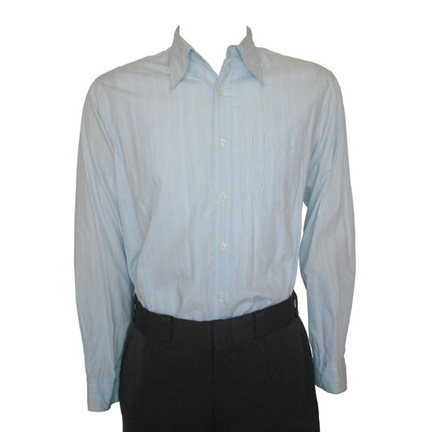 The outfit consists of a light blue long sleeve dress shirt and a pair of grey slacks. 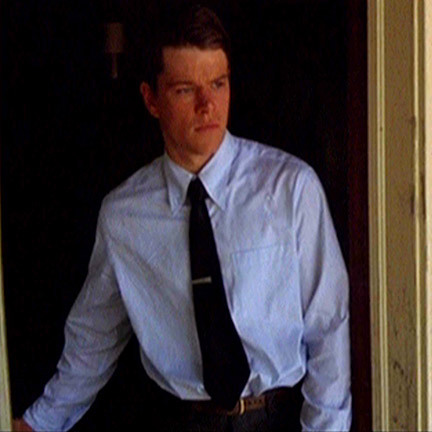 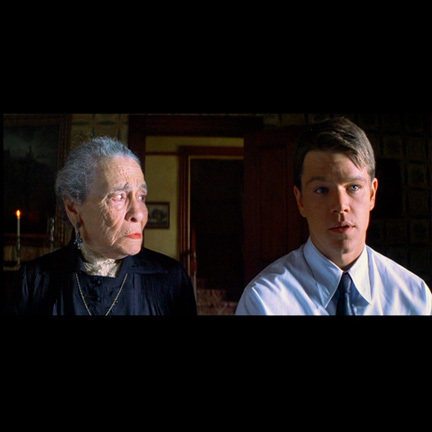 Mr. Damon wore the costume in several scenes from the film. 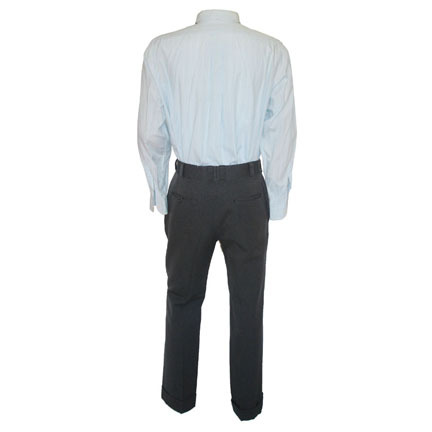 Both items are in excellent screen worn condition and are accompanied by a letter of authenticity from the costume house. 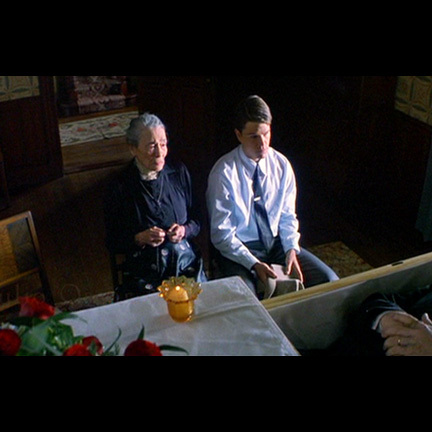 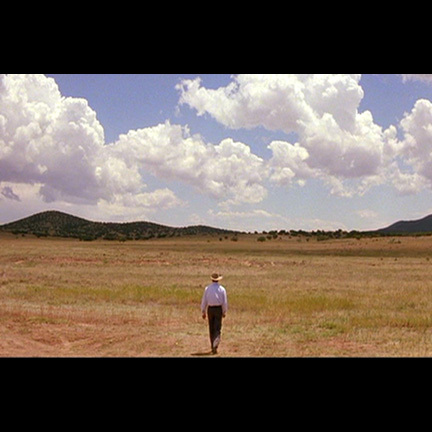 "All The Pretty Horses" was Billy Bob Thornton’s directorial follow up to "Sling Blade", and the film was nominated for a 2001 Golden Globe Award for Best Score.